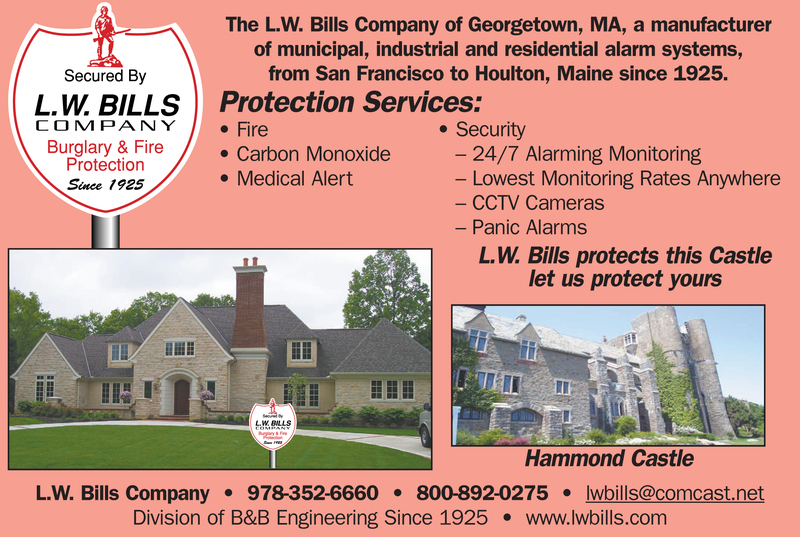 L. W. Bills Co. is a Commonwealth of Massachusetts S Licensed company with technicians that are trained and certified to provide your home or business with the maximum security possible. We can design and install a system to meet the specific needs of your home or business from monitoring and access control to camera systems. The size of the job does not matter, from adding a motion detector to designing a complete system L. W. Bills Co. will get your job done on time and on budget.